Cocktail parties, birthdays, proms, reunions, and more! We're eager to make your next social event unforgettable. With the stunning architecture of our buildings and the natural beauty of our Botanical Garden, we've got a variety of unique indoor and outdoor event venues to choose from. The Springs Preserve has become a go-to for hosting unique special events, business meetings, and parties. Ready to book your social event? To start planning your event at the Springs Preserve, please complete the Venue Rental Request Form or call 702-822-8779. Be the host or hostess with the mostest—host your next party at the Springs Preserve! Enjoy the evening with your friends, and we'll handle all the details. Looking for the perfect venue for your holiday party? Look no further. Let Divine Events and the Springs Preserve make your event stand out with delicious food, excellent service, and affordable prices, all in a unique, sustainable setting. Holiday decor is available for rental. Looking for gift ideas for your employees? Give the gift of a Springs Preserve membership or a commemorative paver! Divine Events is the exclusive caterer at the Springs Preserve and operates Divine Cafe at the Springs Preserve. Divine Events specializes in catering and full-service event planning for weddings, special events, corporate functions and company picnics. Most importantly, the staff creates and implements memorable events that include delicious food served in an ambient environment by a dedicated team of experts. View our Catering Menu. 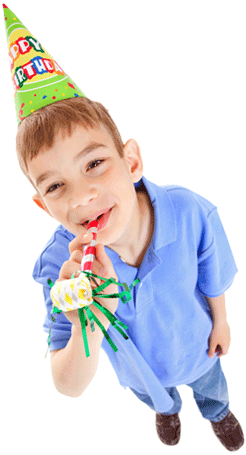 Make your little one's next birthday a special event with a party package at the Springs Preserve. The base cost for the Birthday Party Package is $500 ($450 for Springs Preserve members) for 20 guests. Pizza, soda and water. You are welcome to bring your own cake or order one from our caterer. *An additional fee of $20 can be added for each additional guest, with a maximum of 40 guests. Get Acrobat Reader to view, navigate, and print PDF documents.